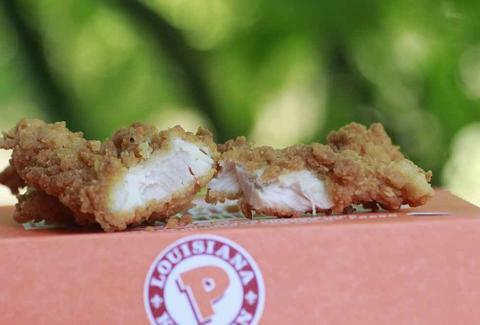 In the most spectacular rebirth since that chestburster from Alien, Popeyes is bringing its Chicken Waffle Tenders back to drive-thrus everywhere. And also like that creepy alien, these strips are out of this world. This was proven during their initial run last Summer, when the fingers racked up so much dough that they became Popeyes' most bankable limited-run item of all time. The Louisiana Kitchen is understandably bringing them back for another special run through June 29, with one three-piece set going for $4.99. Oh, and you might wanna hoard those honey maple dipping sauces. Kristin Hunt is a food/drink staff writer for Thrillist, and personally wishes she had hoarded the honey mustard at Friendly's. Follow her at @kristin_hunt.